Amaranth flower are use for both fresh and dried floral arrangements. 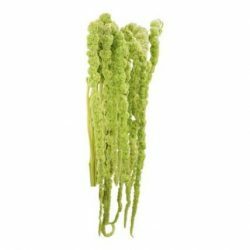 Also known as Hanging Amaranth, with its long, rope like flowers cascading down from tall, erect branching stems. the word Amaranth actually comes from the Greek word for everlasting or unfading. Amaranth flowers are breathtaking tassels available in red or green. A showy tall fresh flower for wedding and special event floral decorations. Also known as Amaranthus. Did you know, since the time of Ancient Greece, the amaranth flower is one of the symbols of immortality? Therefor, making it a symbolic flower for weddings, a good luck flower for a marriage to last forever. Amaranth oil has medicinal qualities and is used in the cosmetics industry to treat eczema, lower cholesterol and help to improve memory. 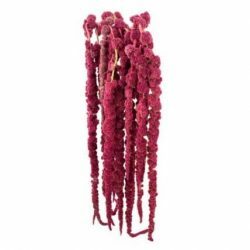 Buy Amaranth Flower in bulk flowers online for weddings and special occasions.